Tom Brady, the love-him-or-hate-him quarterback of the New England Patriots, has been the face of Ugg Australia for five years now. After casually showing off his love for the brand recently via his Facebook, the crowd went wild. 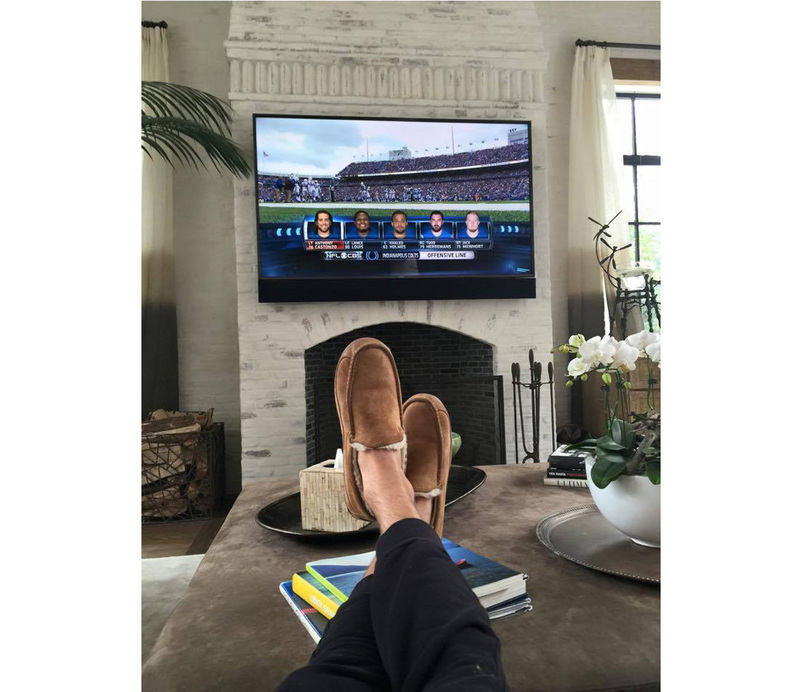 His post (above, of him chilling in his favorite Uggs, essentially “doing nothing”) received hundreds of thousands of “likes” and responses, spurring the Santa Barbara-based footwear brand to think about their next Brady-focused campaign. The result: Encourage everyone else to sit back, relax, and “Do Nothing” as well. We met with Brady on the day this new Ugg campaign was launching to find out about his off-season workout, cheat days, and to see if he ever actually practiced what he preached—to do nothing. MEN’S FITNESS: How does your workout routine change in the off-season? Does it actually involve any do-nothing time? TOM BRADY: As you get older, [the game] becomes a little more challenging. So in the offseason, I do, I try to do a lot of the things I do in the season. I always believe that if you want to be good at what your job is—my job is being a quarterback—that’s what you have to do. I don’t think that being a quarterback means that you go in and see how much weight you can lift all the time. I would say that was very different when I was younger. Because when I was younger, I would go in there and I would squat, I would bench, and then I would be sore all the time. So much of what I do now is maintaining my strength, maintaining my conditioning, but also keeping my muscles I would say soft and pliable. When you’re 38, you gotta think a little smarter than you did when you were younger. It’s been evolutionary, and it’s been a lot of fun to commit in the offseason to the same things I’m doing in the season, in order to maintain a high level of play. MF: Do you ever allow yourself to “fall of the wagon,” so to speak? TB: You know, if you love ice cream, you should eat it. And don’t feel terrible about it either, just don’t eat it every day. I think there’s definitely parts of moderation that you gotta live in your life. And that moderation may be different for different people so, for an athlete who’s trying to maximize the length of their career, you better be pretty disciplined. You know, you can’t eat like three square meals of McDonalds and think that you’re going to get the most out of your body. I love being active. I love golfing, I love surfing, I love playing with my kids, and I want to be doing all those things that I want to do without being in pain. MF: Which Uggs do you prefer on the daily to keep yourself comfortable off the field? TB: I think my favorite are the Ascots. I wear those every day. And the Neumels that I have on, I mean these are like perfect Winter boots here when its cold out. [Ugg does] a great job, I mean they have had so many great products over the years. MF: And what about Gisele [Bundchen, Brady’s supermodel wife]? What is she wearing these cold winter months? TB: She always gets [Uggs]—she has so many Ugg slippers. She’s hard to shop for. She’s very tough to shop for. Believe me. We always joke about that but you know, our house is like Ugg heaven. My wife always says ‘Well everyone take their shoes off in the house.’ But [right by the door] there’s like, 30 pairs of Uggs that people get to wear. So, next time you are going to Tom Brady’s house to “Do Nothing,” don’t worry about the footwear, Tom (and Gisele), and Ugg has you covered for sure.